Start by logging in to your Salesforce account here. Download the package from: https://login.salesforce.com/packaging/installPackage.apexp?p0=04t41000000bSXh Note: This package can be installed on: Enterprise, Performance, Unlimited, and Developer Editions. 4. In quick find, search for "call centers"
5. 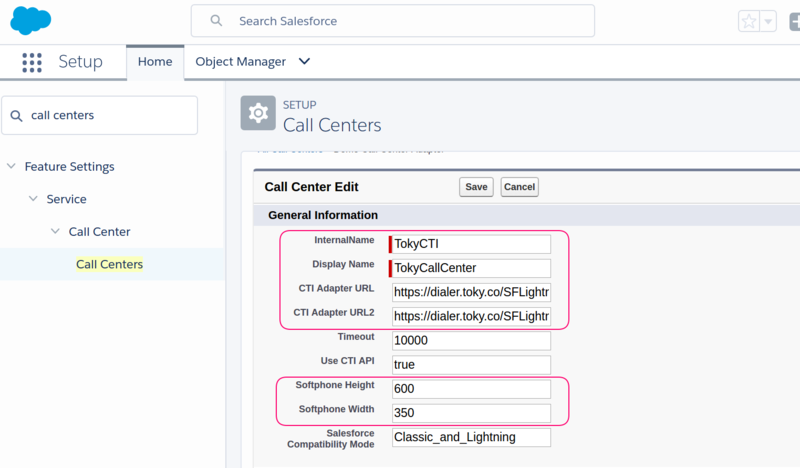 Click edit on Demo Call Center Adapter. 7. Add a user to the Call Center. 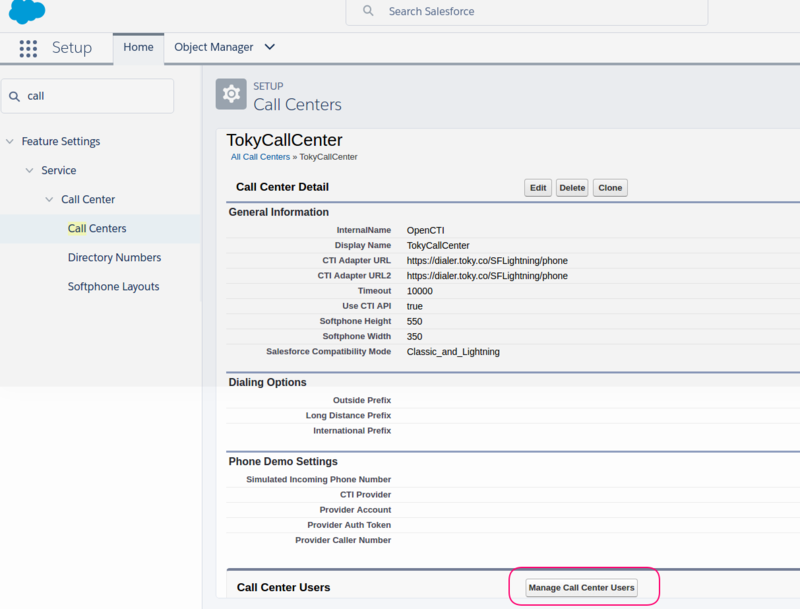 On the TokyCallCenter page, click Manage Call Center Users and add any additional users that you want to use this adapter. 8. Create a Lightning Experience app. You must be in Lightning Experience to create Lightning apps. 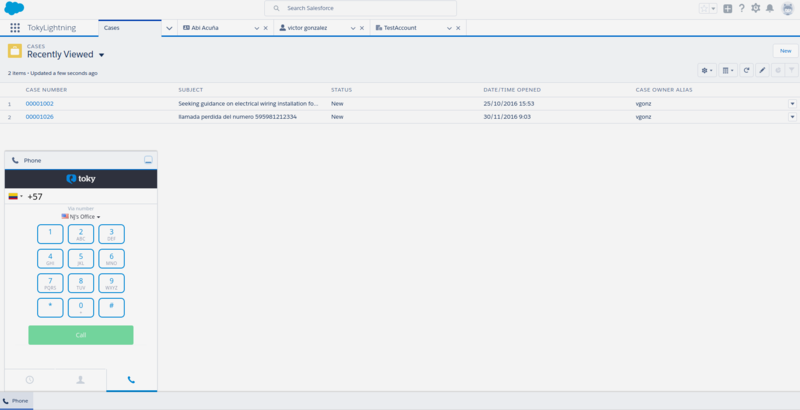 From Setup, use the App Manager to create a new Lightning app that uses Console Navigation. In the name of the app you could use "Toky Lightning App". Optionally, you also choose to enable Service Setup. Add the Open CTI Softphone to your utility bar. Add the navigation items you want. Assign the app to the user profiles you want to access the app. and then click on "Toky Lightning App".